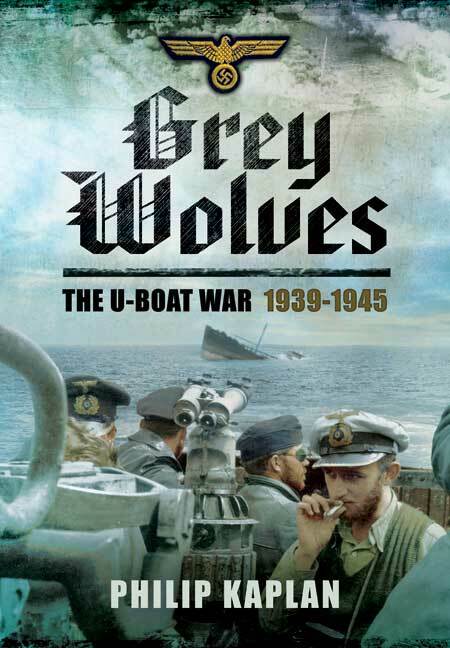 You'll be £4.99 closer to your next £10.00 credit when you purchase Grey Wolves: The U-Boat War 1939-1945. What's this? In the early years of the Second World War, the elite force of German submariners known as the Ubootwaffe came perilously close to perfecting the underwater tactics of the First World War and successfully cutting Britain's transatlantic lifeline. To the Allies, these enemy sailors were embarking on a mission that was unequivocally evil. It was popularly believed that the U-boat men were all volunteers; this was not the case. However, once committed to the Ubootwaffe, each man soon understood that he must take pride in being part of a unique brotherhood. He had to do so because he was setting out, in claustrophobic, unsanitary, stench-filled and ultimately hellish conditions, on a journey that would test his mental and physical endurance to the very limits, and one that he had little chance of surviving. Those that did return soon ceased to take comfort in friends or family, dwelling only on the knowledge that another patrol awaited them. The men of the Ubootwaffe were bound together by an intense camaraderie forged in an environment of ever-present danger, and a unity of purpose more powerful than any known to other sailors. As the U-boat memorial near Kiel records, by the end of the war, of the 39,000 men who went to sea in the U-boats, 27,491 died in action and a further 5,000 were made prisoners of war. Of the 863 U-boats that sailed on operational patrols, 754 were lost. Grey Wolves captures life on board a U-boat, in text, letters, diaries, journals, memoirs, prose and poetry, relaying tales of the mundane and the routine, dramatic and heroic; the fear and resilience of every crew member, from Kapitainleutnant to Mechaniker. It is a vivid, brutally realistic portrait of the men who fought and died beneath the surface of the Atlantic in what was, perhaps, the most critical battle of the war. This is a nice addition to the U-boat literature with some variety from the normal, including accounts from the survivors of the failed U-boat attacks on the D-Day campaign. More familiar topics are also covered, such as the attack on the Lusitania, where the most recent evidence from dives on the wreck is discussed. The book is to be applauded for giving some attention to the topic of Allied air attacks upon the U-boat pens in France, and the construction facilities back in Germany. This is a good starter book on the subject and will whet the appetite. By way of original writing and passages from other notable works, the life of the U-Boat crews is explained in enjoyable detail. A realistic portrait of the men who fought and died beneath the surface of the Atlantic in what was, perhaps, the most critical battle of the war. Since 1945, there has been a deluge of books covering the operation of German U-boats and the Allied efforts to destroy them. But the film Das Boot trumped so many with its gritty portrayal of a single U-Boat crew and their eventual destruction. Since the release of the film, every new author, hoping to provide real insight into the U-Boat war, has a major challenge. This author has risen to the challenge very well and written an absorbing account that provides a real feel for what it was like to serve in a U-Boat. There is a photo plate section, but the value of this book is firmly in its text. The author has not neglected the equally testing conditions faced by all those who protected convoys from U-Boat attack and those who hunted U-Boats. Grey Wolves is the story of the U-Boat War between 1939 - 1945 which has been well researched by Philip Kaplan and is a wonderful addition to the history of Naval War History. This book captures the life on board and is taken from letters, diaries, journals and poetry. Kaplan has managed to capture the feel of being onboard a U-Boat and he writes and edits the documents in such a way that you get a very vivid picture of the men who fought and for those who died. This is poignant books that brings their hopes and despair to life and is a great addition to the Naval War Canon.